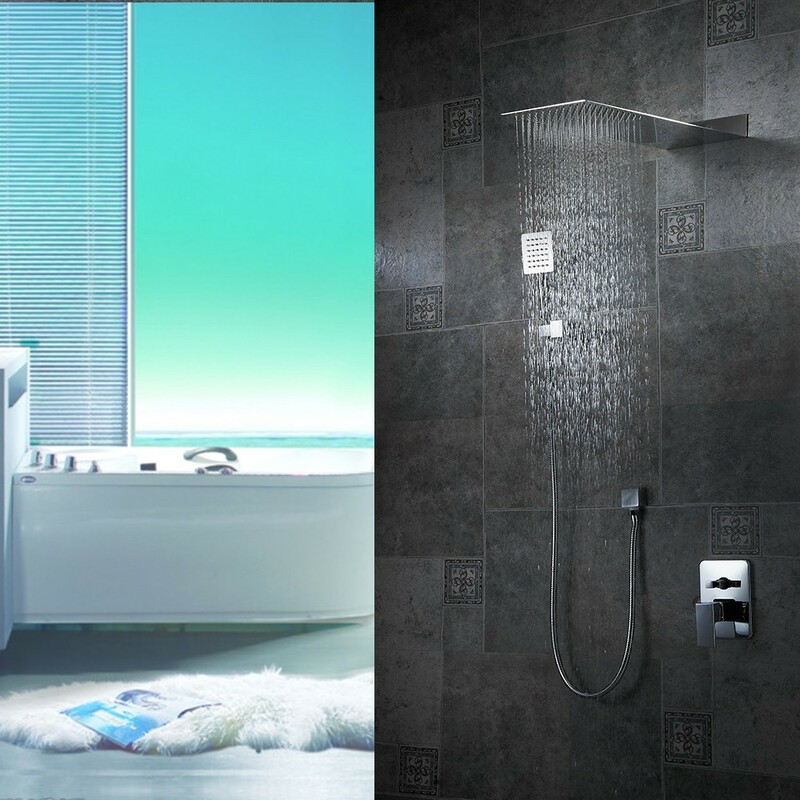 Available in Chrome plate finish, the wall mount Shower Head features rainfall, a Hand Shower & a Single Handle Valve and feels light for your pocket. Body Material is Stainless Steel that gives you an excellent bathing experience. The whole thing is actually pretty nice. I mean, the whole shower set looks good, and now that it's installed I think that it looks even better. The finish, the simple design and the clean look is what makes me happy about this. Anyhow, the shower set also works well and I haven't had any problem with it since it was installed so there's that, too. As for the price, I'm happy to have seen this while it was on sale, otherwise I may not have bought it. I like the slim design profile of the shower head. I think it looks much better than most other shower heads I've seen. As to how it works, it works just as fine as any shower set I've had before, though I think this one's quite more expensive than the others. The whole thing works extremely well and I must say that I am very impressed. This is a great piece especially when you consider the sale price. We saw similar showers at higher prices and this was our best deal everything was ok except shipping a bit slow it took 9 days to get delivered. Looking at all the products in this site, this is the one that I decided to purchase because for one it was within my budget and two it looked great. Now I was reading the product details and after owning this shower set for almost a month now, I can say that this was an excellent purchase. Great product and great service.